As jewelry historians, we love discovering new information about our favorite jewelry manufacturers of the past, and with most vintage jewelry, the findings offer us great insight regarding the age of the piece. Earring clip backs are no exception. 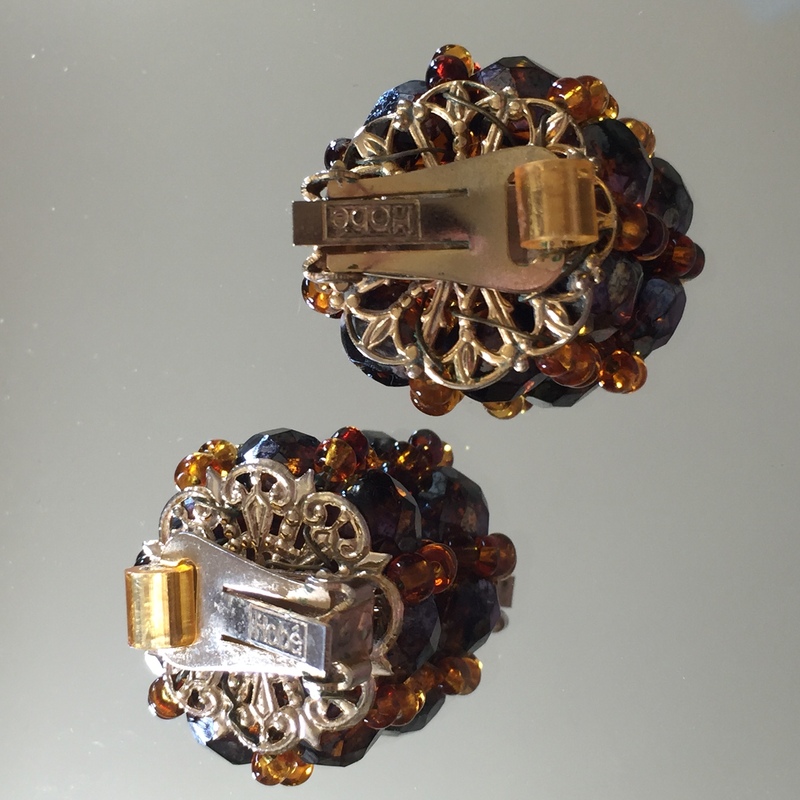 Hobé earrings have been known for years for their distinctive plastic roller on the back of the clip mechanism. In January 1956, the Hobé earring back featured a new plastic “roller” design. This new design element was to help to reduce the pain of wearing clip earrings—a characteristic that still haunts many of vintage jewelry earring wearers. Hobé clip back mechanism with roller disk. Now it’s important to note that this only means that earrings made with the roller were not manufactured any earlier than 1956, but it doesn’t imply that earrings without the roller were made exclusively before that time. As with most costume jewelry manufacturers, there were exceptions to the rule, similarly to design features we note from other companies, knowing these facts only offers information if the design element is present—not if it is missing.